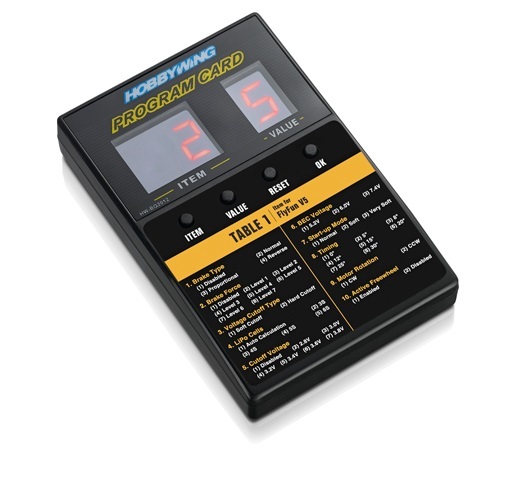 An easy-to-use programming box for many Hobby Wing brushless speed controllers. 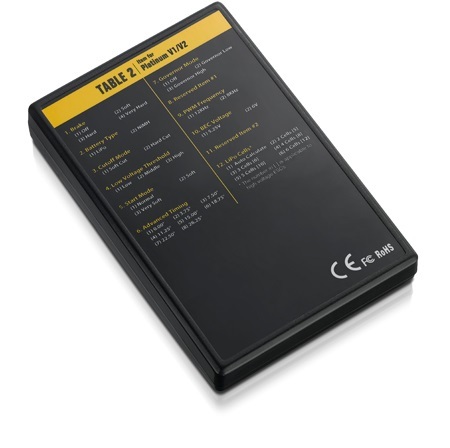 It is small, light and easy to use, making it especially suitable for changing ESC settings at the field. Conveniently, the front and rear of the device show values corresponding to settings for FlyFun v5 and Platinum v1/v2 speed controllers respectively. It measures just 88×48x15mm and weighs approximately 40 grams. To program opto ESCs, a 4.8-8.4V battery will be required to provide power to the programming box.